Thank you for your attendance! Now booking for next years event. Book your place now! This conference brings together large operators and investors to discuss the private health care services industry internationally. In 2016, for the first time, this elite event expands to two days. The first day covers mainly Europe, with the second devoted mainly to Emerging Markets from Latin America to East Asia. You can buy a ticket for a single day or for two. But go for the two-day ticket and free your mind! The contrast between Europe and Emerging Markets is fascinating and delivers insights you will return to for years to come. There is much Europe can learn from Emerging Market business models and much Emerging Markets can learn from larger European players. Last year, 430 delegates attended, a rise of 45%. They came to pinpoint opportunities, to understand how markets are changing and to explore new business models. Click here to read, their own words, what they got out of it. Healthcare Business International is the only subscription publisher to focus on private healthcare services in Europe and Emerging Markets. As well as this conference we publish two unique news services and a database. The theme for this year's conference is Breaking Barriers. That reflects the way hundreds of operators are breaking national borders. It also reflects how traditional siloes are being breached. For instance, hospitals and nursing homes are breaking into outpatient and homecare services. It also reflects the breaking of conventional thinking. Who says you can’t build a 100-bed hospital in Russia for $14m? Who says dialysis can’t cost $15? Who says you can’t diagnose patients from another continent, in another continent? In 2016 the conference expands to a two day event covering Emerging Markets from Latin America to East Asia. Operator CEOs present and discuss the growth opportunities in acute care. How are large hospital groups outsourcing, partnering with public payors and building new opportunities in private pay? How far will new channels increase patient flow? 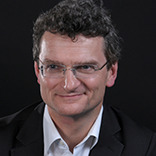 Confirmed speakers include Benoit Chastaing, Head of Strategy and Development, MediPole Partenaires, the second largest French hospital group on recent consolidation. 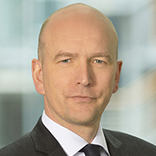 Elmar Willebrand, CEO, Accumeda, the fast-growing German hospital chain who has done over 100 acquisitions, first at Asklepios, and, since 2008, at Accumeda, Mark Page, CEO, Ramsay Health Care UK and Wolfgang Hofmann, SVP, Head of Integrated Care, Fresenius Medical Care. 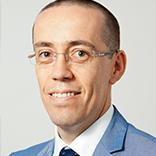 The French hospital sector - Opportunities and Threats Benoit Chastaing, Head of Strategy and Development, MediPole Partenaires Benoit helped engineer the merger of Medipartenaires and Medipole to create the second largest French hospital chain with sales of €1.3bn. What does this extra scale mean for the group operationally and in terms of influence with payors? Benoit looks at the prospects for a sector which has seen tariff reductions.  What are the oportunities and growth prospects? Opportunities in German acute healthcare Elmar H. Willebrand, CEO, Accumeda Elmar H. Willebrand has done over 100 successful acquisitions in the German acute and rehabilitation care sector, first for 14 years at Asklepios, where he master-minded the privatisation of half Hamburg's hospitals with sales of €750m, and, since 2008, at Accumeda, which he has built to neary €90m. Is privatization still an option in Germany? What opportunities are in the pipeline? Is there a switch to ambulatory treatment or in investing in primary and specialist outpatient centres? What will the German sector look like in ten years time? FMC: expanding international specialized healthcare beyond Dialysis Wolfgang Hofmann, SVP, Head of Integrated Care, Fresenius Medical Care The world's largest dialysis group, Fresenius Medical Care, has outlined plans which should see it make significant healthcare service acquisitions in the next years. These will take it well beyond dialysis and into carefully selected new sub-sectors. Here Wolfgang presents on how FMC sees the sector in Europe and beyond. How does he expect the sector to evolve, what makes it so attractive? 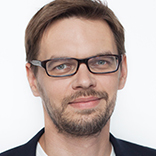 Confirmed speakers include Christian Mayer, CEO, Vivaneo, which runs IVF clinics across Germany, the Netherlands and Denmark. 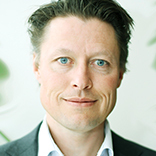 Managing Fluctuations in demand for Ambulatory Care Fredrik Ragmark, CEO, Medicover Near immediate access to a doctor is often THE unique selling point for private healthcare. But delivering that, through the peaks and troughs of demand trigged by such things as the flu season, isn’t easy. Ragmark looks at how Medicover uses predictive modelling and flexible contracts to meet patient needs. Business models in outpatient care in SE Asia Karim Dhala, Executive Director, Qualitas Qualitas runs an outpatient network across Malaysia and Singapore with operations also in India and Australia. Here Dhala looks at how the outpatient market is growing, profiles typical customers and gives his views on the future as well as the Qualitas Business Model. 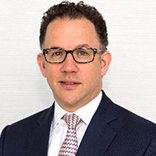 The IVF market in Europe and how it is changing Christian Mayer, CEO, Vivaneo With a footprint in Germany, the Netherlands and Denmark, Vivaneo is one of the few international players in fertility in Europe. Here Christian looks at the sector and how it is changing. What are its growth prospects? 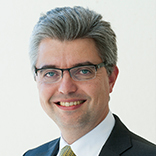 Revolutionising rehabilitation from acute to ehealth Dr André Schmidt, CEO, Median Created from the merger of Median and RHM, Median is now the largest rehabilitation group in Germany with 2015 sales of €700m. It now plans to build a network that offers almost all Germans easy access to “joined-up” rehabilitation with clinically-proven results. André looks at how the group plans to create patient pathways that provide care continuum from acute through to residential rehabilitation, outpatient care in big cities and on to ehealth. Lab and imaging are at the core of successful healthcare. Here CEOs look at new models such as wellness and B2C, at how far rationalisation can reduce costs as tariffs fall and the likely impact of new distribution models. 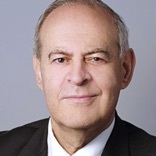 The European lab sector - Opportunities and Threats Hedley Goldberg, Managing Director, Rothschild As an adviser, Rothschild has been intimately involved in the recent restructuring of the lab sector in Europe. So who better than Hedley to give a detailed overview of the sector today and to analyse how it is set to change over the next decade? 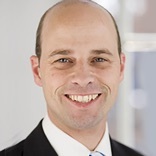 Making the lab industry fit for the future Michiel Boehmer, COO, Unilabs Michiel looks at the turnaround at international lab group Unilabs, which has seen very strong top and bottom line performance. In particular, he looks at how he applied applied the best practice in industrial manufacturing he learnt navigating Dutch giant Aalbers Industries through the recession. He shares how thinking differently can truly make a difference. 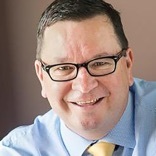 Success strategies for the next decade Chris Fourie, Partner, LTS Consulting How will Information and technology enable lab groups to build a competitive edge? In this wide-ranging presentation, LTS looks at how much mileage remains in automation, before analysing other differentiators, such as quality, agility, proactivity and interfaces with doctors, patients and payors. LTS has been helping lab groups in Europe, Africa and South America for over a decade and brings a wealth of expertise on how labs are addressing challenges in a fast changing market. This is followed by a panel of lab operators. They include Dr David Atkins, CEO, Synevo, the Pan-East European lab group, Dr Charles Woler, CEO of Eurofins Biologie Spécilisée which is the holding company for big French reference lab Biomnis (part of listed international lab group Eurofins) and Marc Bouvier-Berthet, CEO of French lab group Biomed34. Issues covered include outsourcing, cost reduction, genetic tests and tariffs. Demographics favour a huge expansion in demand in this sector. But public payors are increasingly switching away from residential options. Here the CEOs of operators explore opportunities such as the step down market, private pay and the development of non-residential forms of care. Confirmed speakers include Marja Aarnio Isohanni, CEO, Esperi Care, one of the largest Finnish care providers, Fredrik Gren, CEO, Ambea, one of the two largest providers in Sweden, Philippe Tapié, CEO, Maisons de Famille Group which is active in France, Italy and Spain and French Alzheimer specialist Marc Saillon, managing director, Groupe Almage. 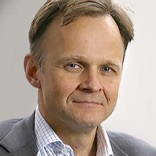 Changing the public/private debate Fredrik Gren, CEO, Ambea Ambea is one of the largest private players in the fast-evolving, highly-politicised Swedish care market. Its strategy has been to develop the expertise to manage those with complex needs, rather than simply going for the mass market. Here Fredrik looks at the dialogue Ambea has with payors and how this is changing. How do you prove quality and provide accurate comparisons between the private and public sectors? What are the prospects for the Swedish market? Riding the Acquisition Tiger Marja Aarnio-Isohanni, CEO, Esperi Care Marja has built Esperi into one of the largest multi-faceted care groups in Finland with over 80 acquisitions and strong organic growth. Here she reflects on the lessons she has learnt moving from a not-for-profit to an organisation backed by private equity. What role can and should private equity play? And how will care in Finland develop over the next decade? 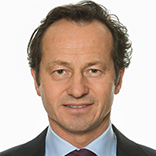 Opportunities in Elderly Care in Italy, Spain and France Philippe Tapié, CEO, Maisons de Famille Group MdeF is one of the French groups to expand across the continent. Here Philippe looks at prospects in Spain, Italy and France in elderly care. How doe these markets vary and how are they set to change over the next five to 10 years? 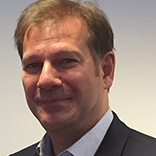 Meeting the challenge of Alzheimers Marc Saillon, Managing Director, Groupe Almage Almage is the largest residential specialist of Alzheimers in France with six homes around Paris, Reims and Bordeaux, and a 30 year track record of treatment. Marc looks at demand today and in the future for dementia care, before going on to look at common errors and what good care looks like. Using Quality Outcomes to Build Brand and to Deepen Payor Relationships Yrjo Narhinen, CEO, Terveystalo Private operators need to demonstrate not just quality outcomes but also the full benefits of these for society in general. Yrjo looks at how Finnish group Terveystalo, the largest private operator in Europe in relation to country size, is building outcome feedback and using this data to influence payors, be they insurers, employers or government. 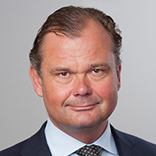 Building a B2C outpatient brand Johan Fredriksson, CEO, Praktikertjänst Praktikertjänst is the biggest mutual franchise of dentists and outpatient doctors in Europe with sales of over €1bn. Johan looks at how the organisation is building a B2C brand. What research has been conducted and how is Praktikertjänst winning the buy in of its proudly independent members? 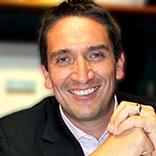 Catalysts for Change Joseph Priel, serial healthcare services entrepreneur Joseph has an unmatched record in building successful healthcare service businesses across Central and Eastern Europe. His start-ups range from imaging services group Euromedic (now Affidea) through to the largest medtech distributor in the region. Today he has investments in operators in Hungary, Romania and Slovenia. Here he looks at how to make change happen and at how change will happen to the sector from central Europe to Russia. 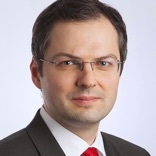 Hospital privatisation prospects in East Europe: A casestudy Martin Hrežo, CFO, Svet zdravia There have been waves of hospital privatisation in Poland, the Czech Rep and Slovakia. What are the prospects now? And what are the political challenges? Martin, CFO of the largest privatisation play in the region - Slovak group Svet zdravia with sales €150m - answers these questions and gives a casestudy of how privatisation works. 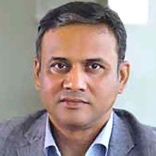 The Indian single speciality healthcare market - demand and growth Vikram Vora, CEO, Mydentist Vikram is CEO of the largest Indian dentistry group. Here he looks first at general trends in the Indian outpatient market. What do consumers look like, how do they think, how can you segment the market? He then focuses on the dentistry market and gives insights into MyDentist's business model. 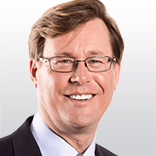 Elderly care in Emerging Markets Bart Vanderschrick, CEO, Senior Assist International Senior Assist runs and owns over 50 care homes in Belgium, Chile, the Gulf and Uruguay and is planning reha, nursing and assisted living developments in Thailand, Turkey and Russia. This gives Bart a truly unique perspective! Here he looks at the different Emerging Markets and talks about the Senior Assist business model. 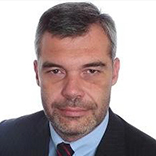 Care prospects and needs in the Middle East and North Africa Dr Helmut Schühsler, TVM Capital Healthcare TVM has made several investments in the care sector in the Gulf and has looked at the wider Middle East and North Africa region. 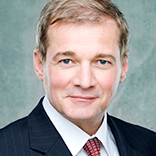 Helmut looks at the opportunities for long-term care, homecare and elderly care, particularly in the Gulf. What is the landscape, the hurdles and the opportunities? 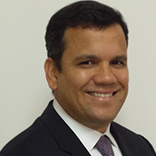 Elderly care in Brazil Marcelo Fonseca, CEO, Dalben Brazil is at the very start of the development of the elderly care market. Dalben is one of largest and most innovative private home and elderly care provider in Brazil today. 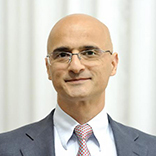 Marcelo looks at current forms of elderly care and at how the Brazilian market will develop over the next decade. How Gulf healthcare is set to change Ronald Lavater, CEO, Al Noor Hospital group Al Noor was at the centre of the largest healthcare services deal of 2015 and its new parent, Mediclinic, is set to join the London FTSE100. 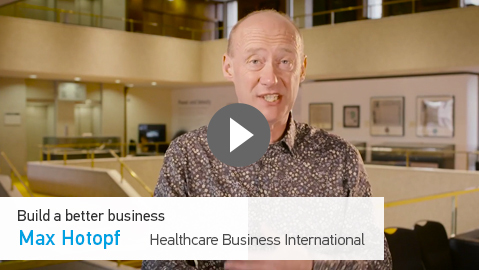 Ron, a former executive with HCA, the world's largest for-profit hospital chain, has spent the last seven years working in the sector in the Middle East, Here he looks at the Gulf and Middle Eastern healthcare services market today and how it is set to change. What are the innovations that will power growth over the next decade? Hospital outsourcing - the Mexican model and beyond Jaime Cervantes, CEO, Vitalmex Public hospitals in Mexico routinely outsource a wide range of services and Vitalmex today has sales of $300m and works with 250 hospitals running everything from operating theatres to dialysis centres and procurement through to cardio-vascular programmes. The company has recently expanded into Colombia and Peru and plans to enter Turkey, Thailand and Brazil in 2016. Jaime looks at the Mexican public hospital sector and explains why he is so confident the model can be rolled out internationally. 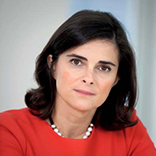 The Chinese secondary care market Isabel Vaz, CEO, Luz Saude Fosun is one of the largest players in Chinese secondary care, as well as being an active investor in healthcare services wordwide. 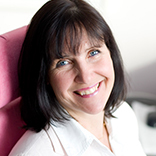 Here Isabel gives an overview of the Chinese hospital market and how it is changing. He then looks at Fosun's strategy for China and goes on to outline its international strategy. 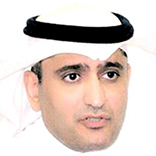 Saudi Arabia - the creation of a new market Dr Ibrahim Al Omar, CEO, ACWA Healthcare Company Saudi Arabia Saudi Arabia has taken the radical decision to place almost the entire delivery of health services in the hands of the private sector and Dr Al Omar looks at the implications, challenges and opportunities thrown up by this change. Dr Al Omar has recently stepped down as Deputy Minister in The Ministry of Health for laboratories and blood banks and now heads up a new operator backed by important investors. He was formerly general manager of the Dr Sulaiman Habib private hospital group. 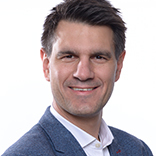 Implementing Quality Dr Markus Hamm, Managing Director, Schoen Klinik How do you build quality indicators and use them to change culture and service delivery within an operator? Schoen Kliniken, Germany's fifth largest private hospital chain, has been pioneering quality for over two decades. Dr Hamm looks at what Schoen Klinik measures, how it uses the data to change behaviour and at how it is extending measurements to cover areas such as depression and eating disorders. What impact has this had on patients' perceptions? Delivering Quality in Health and Care Dr. Stefan Larsson, Senior Partner and Managing Director, BCG Stockholm After years of health care management where payer focus has been on fee-for-service and cost per volume, the landscape is changing and the quality of services provided gaining in importance. Measurement of outcomes that matter to patients is increasingly demanded and when the data is made transparent it transforms the Health care landscape. 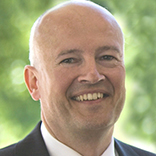 Dr Larsson will share examples of where this is happening, describe the emergence of Global standards for outcomes measurement and the opportunities their adoption offers to progressive health care providers. 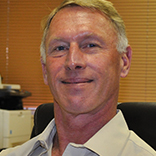 African lab markets Peter Cole, CEO, Lancet South African lab operator Lancet is building a Pan-African chain of labs and now has a physical presence in a dozen countries. Peter looks at how these markets differ, how they are changing and the challenges they present. He also looks at the broad thrust of healthcare development across Africa. 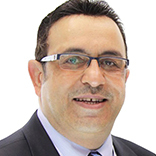 Opportunities in the Gulf and beyond Dr Sameh El Sheikh, CEO, Al Borg Medical Laboratories What does the Gulf lab market look like today and how is it set to change as countries roll out statutory insurance and turn increasingly to private sector providers. Al Borg has innovated by developing a powerful wellness platform. Sameh looks at how this has been rolled out and at opportunities beyond the Gulf Market. 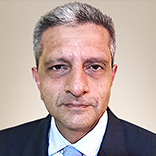 Going Global Sanjeev Vashishta, CEO, SRL India's largest lab group is set to expand fast in Africa, the Middle East and CIS. 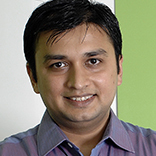 Sanjeev first looks at the Indian market before going on to look at opportunities elsewhere. In particular he looks at how SRK integrates imaging into its business model. This panel discussion will be kicked off by Thomas Pellerin who will set out what are likely to be the winning business models and at the main types of investors he sees emerging in the different regions. 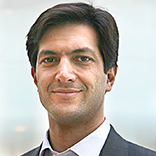 Meeting the health needs of emerging consumers Michael Fernandes, Partner, LeapFrog Investments Billions of underserved emerging consumers across Africa and Asia are demanding access to essential services, including healthcare, to enable their rise into the middle class. Michael explores how to meet the burgeoning emerging consumer health need. LeapFrog Investments is a specialist investor in emerging markets, seeking the growth opportunity presented by two billion emerging consumers in Africa and Asia. Using a profit-with-purpose approach, LeapFrog invests in companies providing essential financial tools and healthcare to emerging consumers earning below $10 a day. 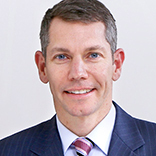 The former country head for India for Khazanah Nasional, Malaysia’s sovereign fund, Michael managed the healthcare portfolio, ranging from hospitals to health insurance providers, that was consolidated under IHH Healthcare and listed in Singapore for a $7 billion valuation. Reducing costs in health care Farhad Riahi, Senior Partner, Richard Bartlett, Engagement Manager, McKinsey & Company and Dave Easton, Director and Head of Consumer Business, CDC Group As tariffs fall in Europe, so operators are looking to cut costs whilst increasing or maintaining quality. Farhad and Richard look at casestudies drawing particularly on players in Emerging Markets who are often delivering high quality at a fraction of the cost in Europe. 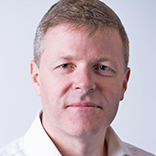 eHealh apps - the next step Alistair Wickens, CEO, Quealth Quealth is one of a few clinically-valid health apps successfully targeting the consumer health market in the UK, US and Australia. 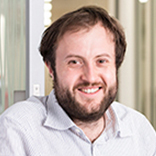 Alistair has extensive experience in creating a digital business which partners with some of the world’s largest technology companies around distribution and product development. In this session, he will unpack how an understanding of consumer behaviour and AI is helping to create longer-term engagement and influence health-related behaviour — particularly in relation to the health, insurance and retail markets. Online booking and rating platforms - Opportunity or Threat? 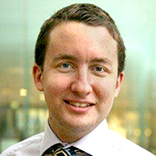 Marcin Szalek, COO, Docplanner The last five years has seen an exponential growth in rating/booking sites in health and care services. Docplanner, for instance, is now active across 25 countries in Africa, Asia and Europe, booking in hundreds of thousands of patients a month. Next steps for the sector are likely to see remote consultations. So are these platforms a threat to existing providers or are they potential partners who can help payors and operators to grow brands and coverage? How integrated apps will change the world Ali Parsa, CEO and Founder, Babylon Health Launched in April 2015, the app offers diagnosis, consultations and medical record storage. The service works with the English NHS or as a subscription service. Ali looks at how such apps work today and how they will in the future. How will this change the way insurers and operators deliver services? Sub-Saharan Africa - payors and governments Ian Clarke, Chairman of the East Africa Healthcare Federation Ian looks first at how governmental attitudes in Sub-Saharan Africa have changed. What impact will statutory healthcare insurance schemes and a new generation of PPPs have? He then looks at the payor landscape. Mhealth, micro insurance and catastrophic acute insurance are very fashionable today. But are they likely to provide a substantial reveue stream for providers? At the base of the pyramid Africa is likely to depend on NGOs - has their attitude towards for-profit providers changed?